In Ballerup you will find good opportunities for developing, testing, producing and selling innovative fintech solutions. Fintech businesses located in Ballerup have access to a unique, strong ecosystem of world-leading businesses, research institutions and a highly qualified labour force within the finance and research industries. In recent years Ballerup has experienced exciting developments where large businesses working within fintech/insurtech have begun to open their doors to startups and collaborate with them. 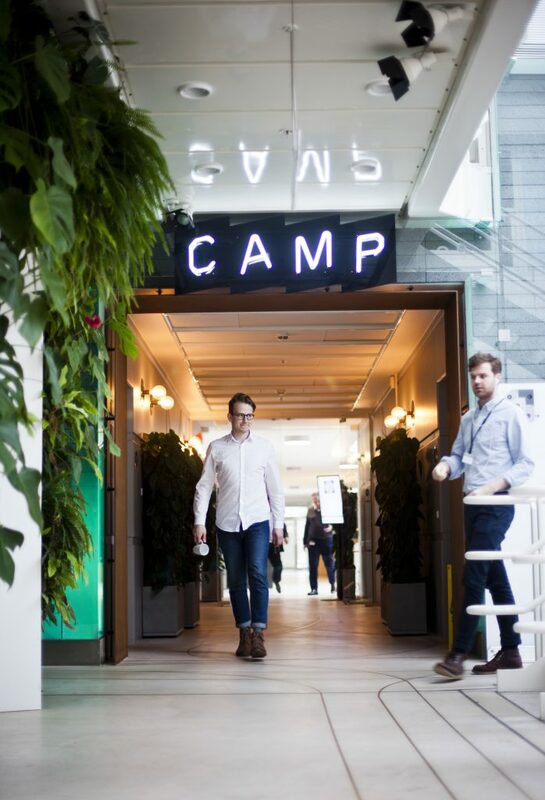 At Tryg, for example, a number of startups are part of the co-working space called "The Camp", which is run by Rainmaking. With The Camp, Tryg invites future insurance market players within its walls in order to future-proof the insurance group for the decline of traditional insurance plans such as those for cars or homes. Startup companies can set their growth in motion by being part of a creative and well-functioning environment for innovation. Nets, a Scandinavian provider of payment, card and information systems, has also opened its doors to startups through its fintech partner programme. Nets has already successfully collaborated with businesses such as Storebox, Paytrail, Coinify and Shopbox. The business has also established innovation projects together with several banks and technology providers. Greater Copenhagen is working to become a leading Northern European fintech hub. Join a growing community in Ballerup.